Evaluation of back and neck pain requires a physician experienced in diagnosing spinal conditions. The work-up begins with a detailed history and physical examination. Your medical history helps the doctor understand your back and neck pain and the influence of your lifestyle on your pain. During your physical exam, your physician will try to pinpoint the source of pain. Simple tests for flexibility and muscle strength may also be conducted. Diagnostic tests may be ordered to confirm the location and source of your pain. 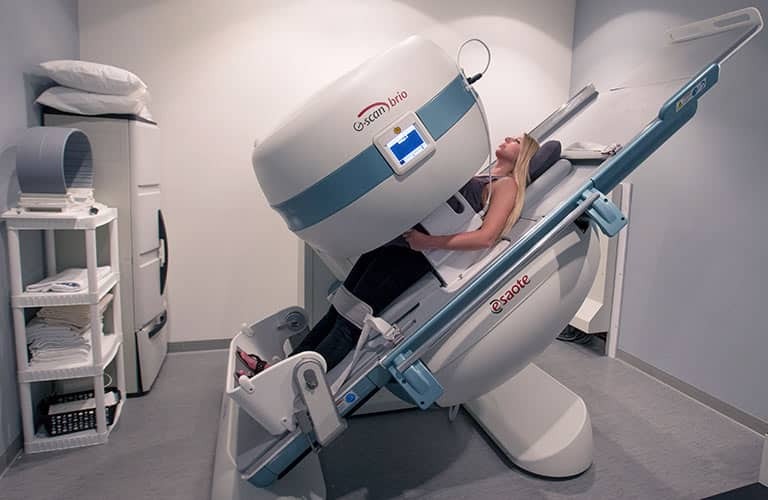 MRI (magnetic resonance imaging) uses a magnetic field and radio waves to generate highly-detailed pictures of the inside of your body. Because X-rays only show bones, MRIs are needed to see soft tissues like discs in the spine. These images help your doctor provide a more accurate diagnosis. This type of imaging is very safe and usually pain free. CT scan/myelogram - A CT scan is similar to an MRI in that it provides more diagnostic information about the internal structures of the spine. A myelogram is used to diagnose a bulging disc, tumor or changes in the bones surrounding the spinal cord or nerves. A local anesthetic is injected into your low back to numb the area. 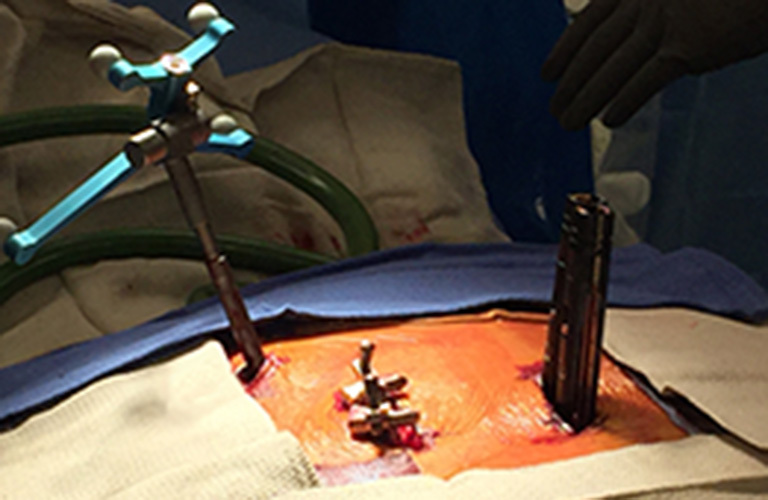 A lumbar puncture (spinal tap) is then performed. A dye is injected into the spinal canal to reveal where problems lie. Electrodiagnostic - Electrical testing of the nerves and spinal cord may be performed as part of our diagnostic workups. These tests, called Electromyography (EMG) or Somato Sensory Evoked Potentials (SSEP), assist your neurosurgeon in understanding how your nerves or spinal cord are affected by your condition. Bone Scan - Bone imaging is used to detect infection, malignancy, fractures and arthritis in any part of the skeleton. 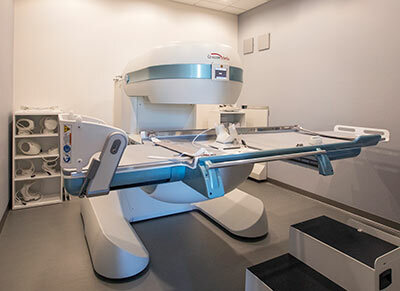 Bone scans are also used for finding lesions for biopsy or excision. Discography - Discography is used to determine the internal structure of your disc. It is performed by using a local anesthetic and injecting a dye into your disc under X-ray guidance. An X-ray and CT scan are performed to view the appearance of the disc composition to determine if its structure is normal or abnormal. In addition to your disc appearance, your doctor will note if you have pain with this injection. The benefit of a discogram is that it enables the spine surgeon to confirm which disc level is really causing your pain. 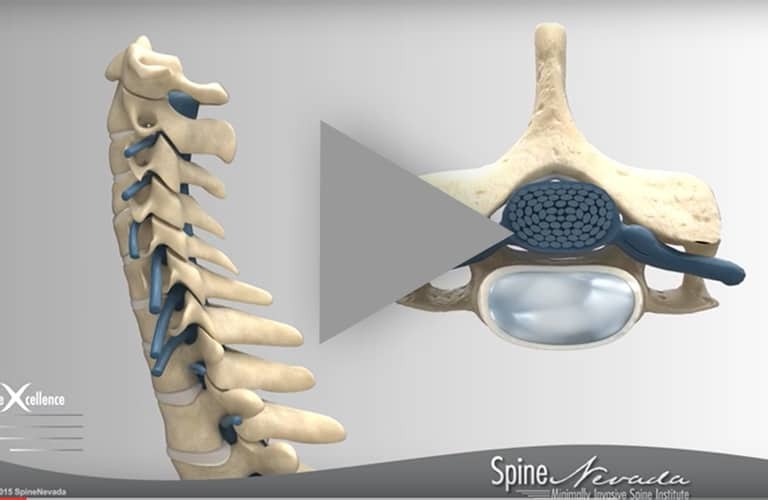 This ensures that surgery will be more successful and reduces the risk of operating on the wrong disc. Injections - Pain-relieving injections can relieve back pain and give the physician important information about the problem, as well as provide a bridge therapy.